oh wow izzy! great job! good luck in the challenge! 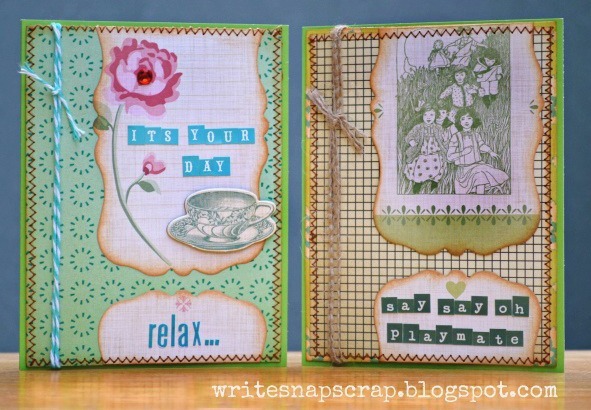 Darling...I LOVE using journaling cards! I too am a collector of journaling spots... I love your idea to use them on card instead!! 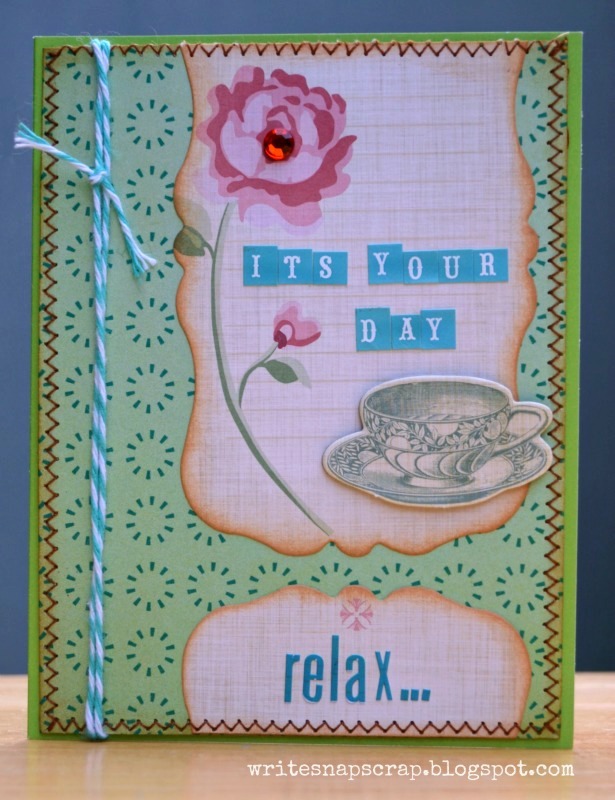 The vintage ones are most fabulous on your cards. love them, Izzy!! so cute! love them both! love the stitching! These are beautiful!! I loveeeeeeeeeee the colors and the stitching!!! Love the cards - they're adorable. and you can't go wrong with cosmo....i always forget i can cut those cards... grrrr. Beautiful cards, love the way you used the journaling spots! I love journaling cards, they're so versatile! I love that you've showcased them on cards. Your cards are gorgeous and I think the massage idea is fabulous! What a creative way to use those cards! I love the way you cut them to create a totally different look. Beautiful! 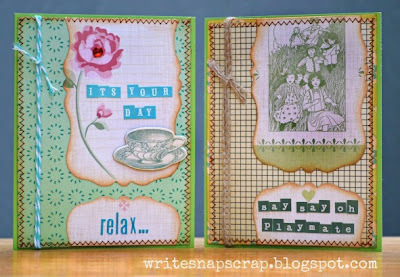 A wonderful idea for using those journalling cards....but then , I know you always have wonderful ideas :) Really sweet cards, Izzy! you have such a talent! I always love what you do! 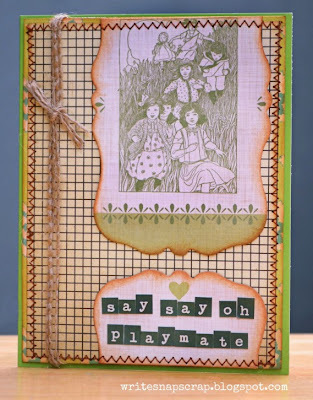 Great use of journal cards. I really like how the twine looks on the side. Very vintage over all. Sweet cards! Love how you've used the journal tags! What great cards Izzy! Love the design of them! Absolutely lovely Izzy! Your cards are so pretty.